Philadelphia’s Geller Foundation granted its newly established Nelson Mandela prize to the Cuban Five – the former leaders of Cuba’s failed Wasp spy network. In reality, the Geller Foundation is actually led by members of the New York City entity – the Center for Cuban Studies. 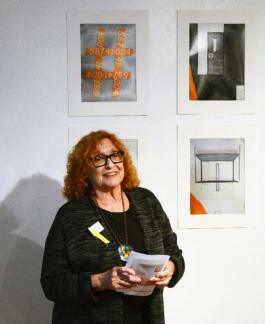 Sandra Levinson, the Center’s Executive Director, presented the prize to released spies Rene and Fernando Gonzalez and the relatives of the still-incarcerated members of the Cuban Five. The ceremony was held last week at the headquarters of the Cuban Institute of Friendship With The Peoples (ICAP). Former Directorate of Intelligence Officer Juan Reyes Alonso said ICAP is not a DI entity per se, but that it is overwhelmingly influenced by the intelligence service. Reyes Alonso claimed ICAP is penetrated by a small cadre of bona fide DI officers who are aided by a large staff of agents (i.e., collaborators). As a result, roughly 90% of ICAP is thought to be DI-affiliated. Similarly, the New York Times has reported on ICAP’s intelligence ties as far back as 1983. As background, the Center for Cuban Studies hosted the first National Conference on Cuba from November 2-4, 1979. US participants included Congressman Ron Dellums, the Puerto Rican socialist party, union representatives, legal scholars, and innumerable academics. Havana sent 15 participants, to include intelligence officers Alfredo García Almeida and Ramón Sánchez-Parodi Montoto. Two years earlier, columnist Jack Anderson had identified Cuban Mission to the United Nations (CMUN) “diplomat” Julian Enrique Torres Rizo as the chief of Havana’s US-based intelligence operations. The Center for Cuban Studies allowed Torres Rizo, a senior America Department (DA) officer, to have an office in its facility. The America Department was the name used by the intelligence wing of the Central Committee of the Cuban Communist Party from 1974 to the late 1980s or early 1990s. The DA was heavily involved in supporting revolutionaries and terrorists, but has since become more focused on political intelligence operations. This service is now called the America Area of the International Department of the Cuban Communist Party (PCC/ID/AA). The New York City-based Center for Cuban Studies hosted the first National Conference on Cuba from November 2nd-4th, 1979. US participants included Congressman Ron Dellums, the Puerto Rican socialist party, union representatives, legal scholars, and innumerable academics. Havana sent 15 participants, to include at least two intelligence officers: Alfredo García Almeida and Ramón Sánchez-Parodi Montoto. An America Department (DA) officer, Alfredo Garcia Almeida found himself back in New York within two years — assigned to the Cuban Mission to the United Nations (CMUN) as a representative of the Cuban Institute for Friendship with the Peoples (ICAP). According to former DI officer Juan Manuel Reyes Alonso, ICAP was penetrated by a small cadre of bona fide DI officers, aided by a large staff of agents (i.e., collaborators). As a result, roughly 90% of ICAP was thought to be DI-affiliated. Following his posting as the first chief of the Cuban Interests Section in September 1977, Ramón Sánchez-Parodi Montoto, served in the US for 12 consecutive years. Experts remain undecided as to whether he is DGI or DA. Editor’s Note: The General Directorate of Intelligence (DGI) was the name previously used by the foreign intelligence wing of the Ministry of the Interior. Following a 1989 “scandal” and reorganization, this service was reorganized and given a new name – the Directorate of Intelligence (DI). The America Department (DA) was the name used by the intelligence wing of the Central Committee of the Cuban Communist Party from 1974 to the late 1980s or early 1990s. The DA was heavily involved in supporting revolutionaries and terrorists, but has since become more focused on political intelligence operations. This service is now called the America Area of the International Department of the Cuban Communist Party (PCC/ID/AA).